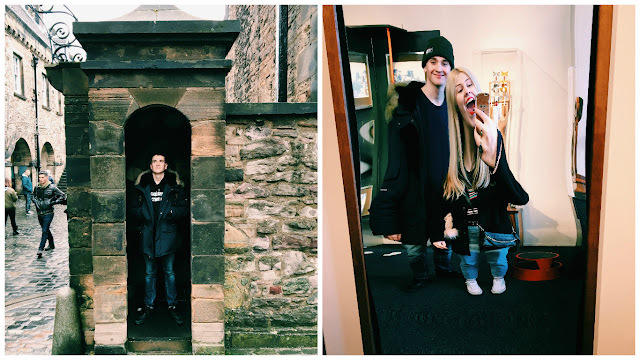 I wanted to write up a little blog post all about my most recent adventure to the beautiful, glorious city of Edinburgh, Scotland with my love. We managed to get a couple of days away together and treated ourselves to some quality time away from our home town. If you've read my blog or followed me on social media for a little while now then you'll be all too familiar of my tour life in 2015/16 where we in fact stayed in Edinburgh for three weeks over Christmas. There were a couple of sites I knew I wanted to explore that I hadn't before (star points for rhyming!) and so we managed to cram a fair bit into our stay to ensure we got the most out of the city. 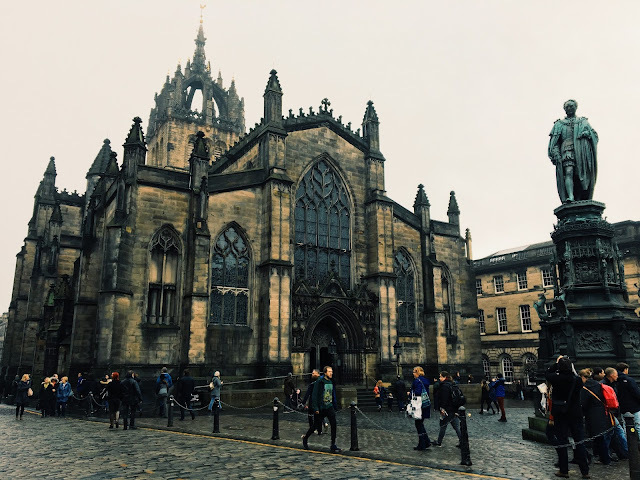 In a way, Edinburgh is very similar to London but the architecture is a lot more detailed and has a gorgeous stone theme throughout. The atmosphere itself is much more calmer and very pleasant to be surrounded by- not so much of a rush as London? First of all we managed to get our mitts on an AirBnB, which was roughly a 25 minute walk into the city centre and right around the corner of a Sainsburys Local. 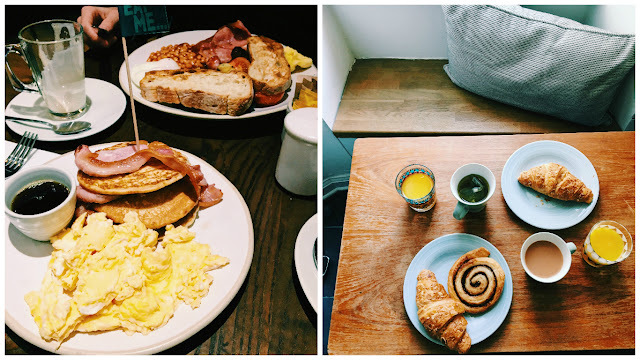 This meant we could pick up bits and pieces when ever we felt peckish or we needed supplies for breakfast etc- hence the rather flattering flatlay of our breakfast one sunny morning on the right. It also meant we didn't have to spend a small fortune eating out every single day and night, which we sort of ended up doing anyway as we quite often ate a late lunch and that saw us through most of the day. 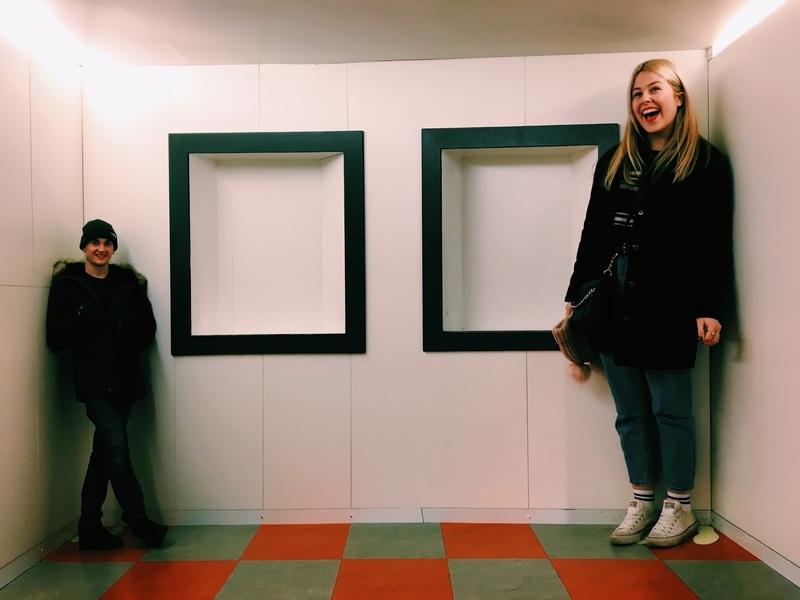 We headed to a couple of tourist spots including Camera Obscura, which was originally a bit like an observatory tower that was built in the 1800's and home to the first tourist attraction in Edinburgh. It housed a contraption of mirrors that then reflect onto a domed table and creates a live picture of the city- pretty sweet! It then has a collection of mirror illusions, electricity balls and other sciency activities, which we were quite happy playing and fiddling about with. Another stop of ours was Mary Kings Close, which I've been to before and absolutely adored. It's a walk through experience that takes you through an underground street that has been buried underneath the Royal Mile area and is in pretty much perfect condition. There is a lot of history to learn, mainly involving the plague and is brought to life with a bunch of very talented actor hosts, who are even dressed for the occasion. 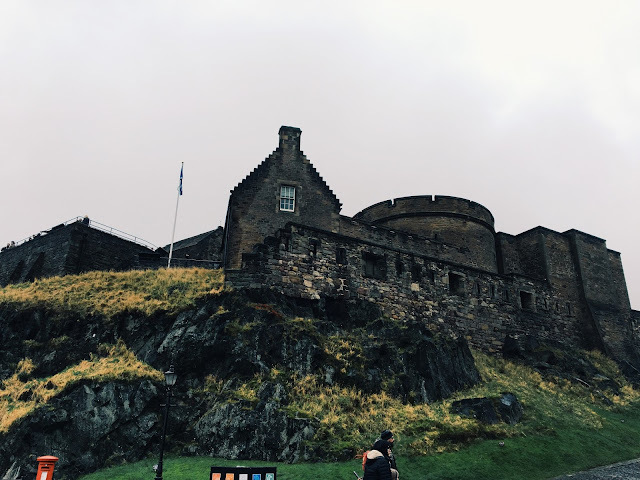 Lastly, our last tourist spot was Edinburgh Castle, which wasn't the most impressive part if I'm being completely honest but still exciting to explore and indulge in the history. Unfortunately, we made a bit of an error and went up to the castle on our last day where the weather was extremely overcast.. oops. So the views were.. sh*t.
Of course we over ate and walked absolute missions as you tend to do on those mini city breaks but we were extremely lucky with the weather and we had crisp, winter sunny days! It only really got nippy towards the evenings but by then we had become exhausted and achy, which meant we would head back to the apartment. 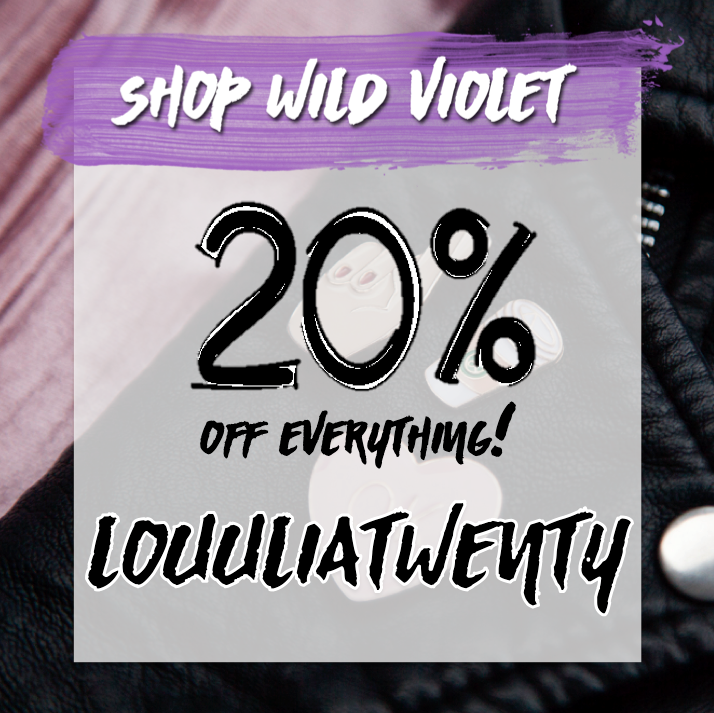 We couldn't really buy anything from the high street or the mini boutique stores as we had hand luggage with us to save on flying costs. So we were pretty limited with space in our back packs! But still there's no harm in a little window shop, right? It's a ridiculously great opportunity being able to take some time out of the busy work schedules to seek new places to visit and spend one on one time with someone special. We also managed to find somewhere to visit where it's fairly close, simple journey and tons on offer to entertain ourselves. It also means we don't have to spend an absolute bomb on escaping away somewhere but we just have to look a little further than our door steps!